Swargathekkal Sundaram malayalam movie directed by debutant Manoj Aravinakshan features Sreenivasan in lead. Lal, Joy Mathew, Asha Aravid and Mythili will give life to other prominent characters in the movie. Manoj Aravinakshan who has worked with Joshiy, MT Vasudevan Nair and Aneesh Anwar is looking forward for his directorial debut. With Kochi as the main location, 'Swargathekkal Sundaram' will start rolling from 14th November 2014. After wrapping up the shooting of 'Nagara Varidhi Naduvil Njan', actor Sreenivasan will join the sets of Manoj Aravaindakshan's first project. Titled 'Swargathekkal Sundaram', the movie zooms into family and social issues. Lal, Joy Mathew, Asha Aravid and Mythili will give life to other prominent characters in the movie. Manoj Aravinakshan who has worked with Joshiy, MT Vasudevan Nair and Aneesh Anwar is looking forward to make his own space in the film industry for his directorial debut. With Kochi as the main location, 'Swargathekkal Sundaram' will start rolling from 14th November 2014. Sreenivan who has delivered hits like 'Vadakkunokkiyanthram' and 'Chinthavishtayaya Shyamala' is expected to bring back his golden days with his upcoming venture. 'Swargathekkal Sundaram' creamed with humour, emotions and thrills would be a clean entertainer. The movie is expected to reach theatres by the first quarter of 2015. 'Nagaravaridhi Naduvil Njan' is Sreenivasan's next release, a social satire with waste management as the main theme. Directed by debutante Shibu Balan, the movie which features Sreenivasan and Sangeetha in lead roles, focuses on the obstinate issue of urban waste accumulation and disposal. It addresses a slew of issues that disrupt the life of an ordinary citizen. The movie also discusses relevant topics including the failure of government to rehabilitate the gulf returnees. It also tells about the wretched condition of economically backward students who are studying in self-financing colleges. 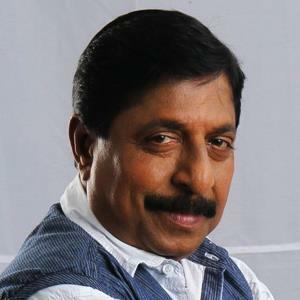 As Sreenivasan is much liked by the family audience for his natural mode of acting, viewers are more ambitious about each project. 'Swargathekkal Sundaram' will be made in such a way to cater the need of the moviegoers. Meanwhile actor turned filmmaker Joy Mathew would also be seen in a pivot role. He has give life to some interesting characters in movies like 'Angels', 'Rasputin', Just Married' and 'Oru Korean Padam'.